So nice to see your pics from Toronto, Khatu! I'm originally from there so seeing these is a nice reminder of what I left! you and your sis are so cute! love your matching louis bags. Ahhh you must have gone on the weekend - I've never waited that long! It's usually not even busy when we go! I have been to Toronto many times but my pictures never came out this nice ;) I love your outfit. You and your sister are so cute and your bf is hilarious in that photos ;) Thanks for sharing! OMG are you in Toronto now too?? I am here and the weather has been crap!! ugh.... Looks like you are having a blast. Great pics! 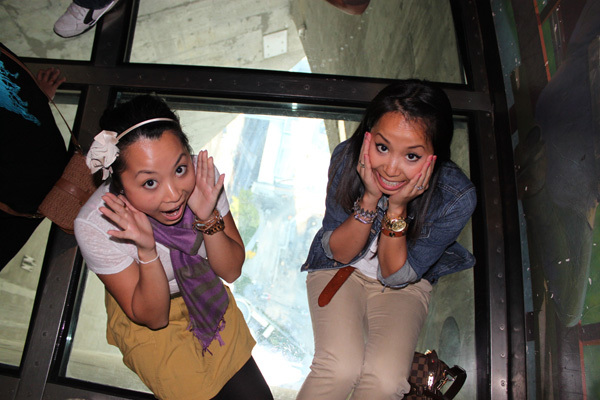 I've never been to the CN Tower but the Willis Tower (Chicago) has a similar glass floor (with no wait!) and it's such a trip to first step onto it. Can't believe you were brave enough to sit! Oh Toronto - I love! I know I can't fall through the glass floors but it still freaks me out when I am stepping on it! This looks like such a blast, doll! Glad you had fun! Yay Toronto! 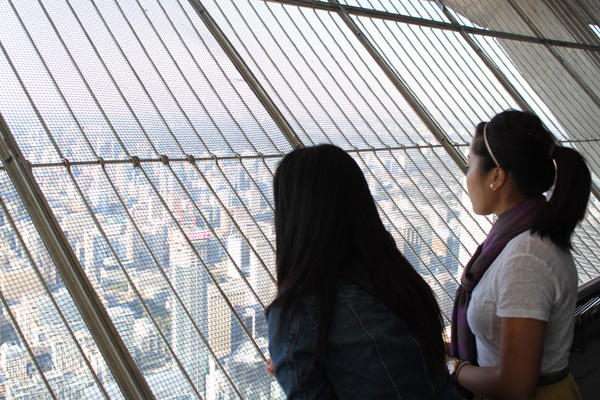 The CN Tower is one of those places that you see once and never need to again. 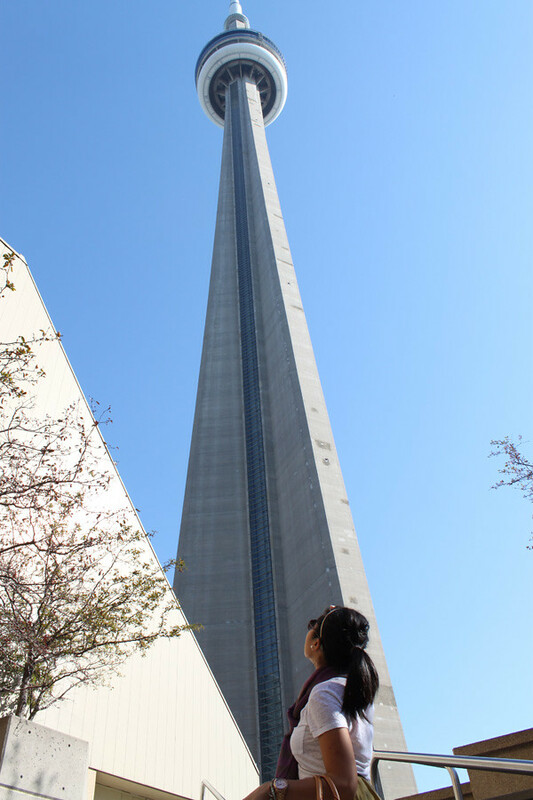 Next time you're in Toronto check out any of the following: Casa Loma, the Distillery District, the Bata Shoe Museum, the Art Gallery of Ontario, the Royal Ontario Museum, High Park during Hanami (cherry blossom festival). There's much more but I'll keep the list short.